The Iron Craft challenge this fortnight was to create something for the home. I've had a bit less time than usual to work on this and there wasn't really anything I was inspired to make for my house, so I put it off until almost the last minute. 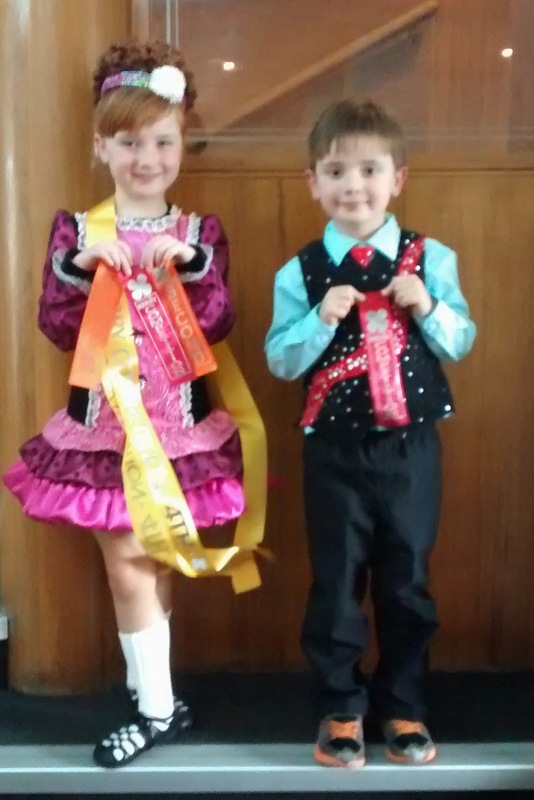 On Sunday both my little miss and the little guy competed in an Irish dancing competition. It was the little guy's first actual competition and he was great! He was so excited when his name was called out and he got his ribbon. He said he must have done extra good because it was a red one (his favourite colour) - too cute! 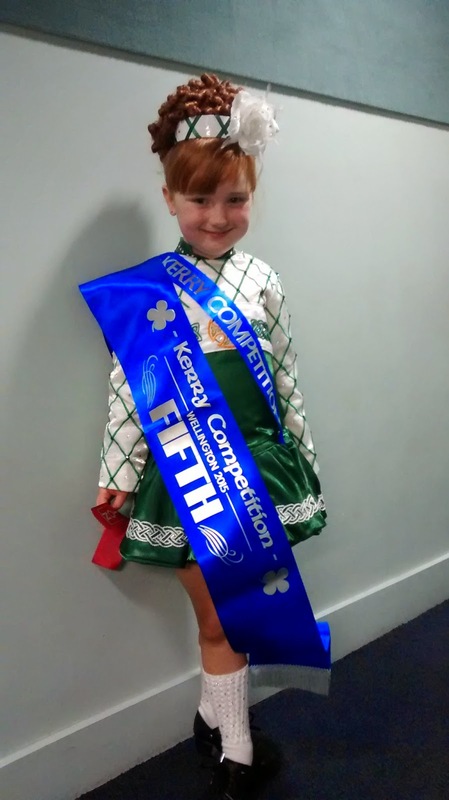 The little miss had a great day and she won her first large sash. She was beyond thrilled, especially since she was competing against girls not only her age, but also a year older. So this was my inspiration. The little miss has quite a collection of ribbons, skinny sashes, a few medals, and now a large sash; and until now they've all just been sitting on a shelf. We went out and bought a cork board and I was going to cover it in some nice fabric for her, but she said she wanted to leave it as is because she would have it completely filled up before long. Good on her! But there goes that idea... I did some searching on Pinterest for display ideas for the long skinny sashes and found some really cool quilts made from them - the little miss loved that idea, but we both thought waiting until she earned a few more to make a larger quilt would be better. So we came up with the idea of just plain hanging them on the wall over some string. And now for my craft challenge creation... I grabbed some of the wooden laundry pegs, some ribbon, and my trusty craft glue and made some simple (but better than plain wood) pegs to hold the sashes in place. Simple but effective and the little miss loves it. The big sash & little ribbons. Really a great way to do this! I'm now thinking of doing something similar in my craft room with mittens.